Another weekend started and i want to share the new arrivals at the chaosbunker. 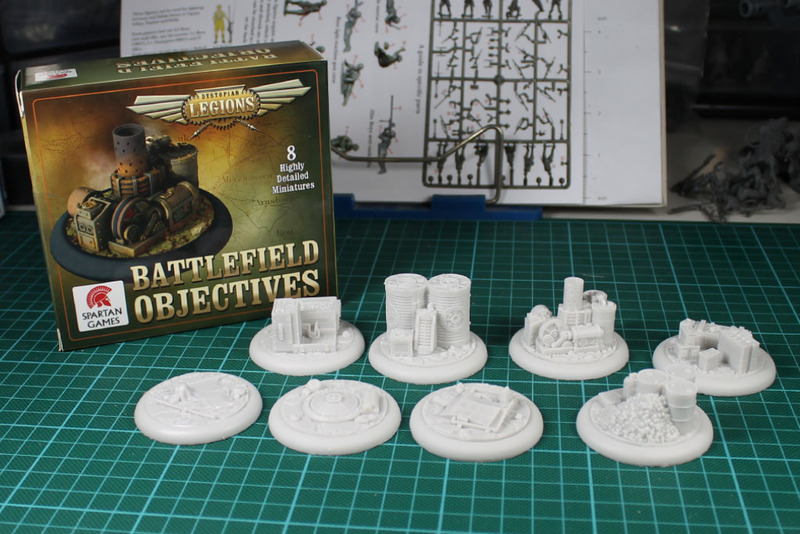 I bought the Battlefield Objectives from Dystopian Legions. 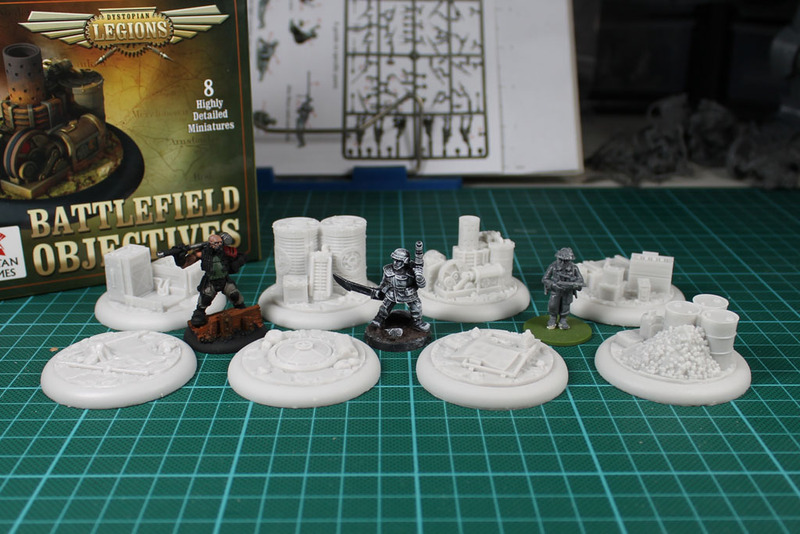 The set of 8 costs 22 Euro, a way better deal than the warmachine objectives - set of 3 for 13,50 euro. 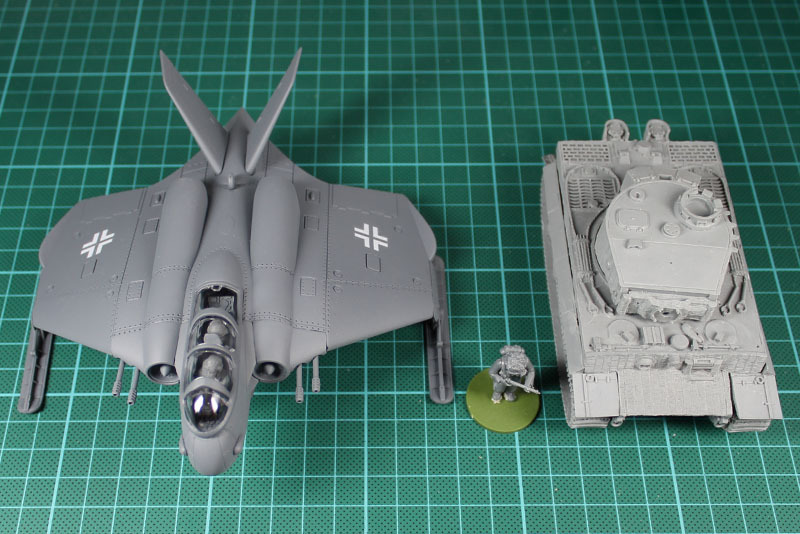 The scale is 32mm, but it works great with all kind of systems, as the 2nd picture shows. Beside that, i got some Dust Stuff. 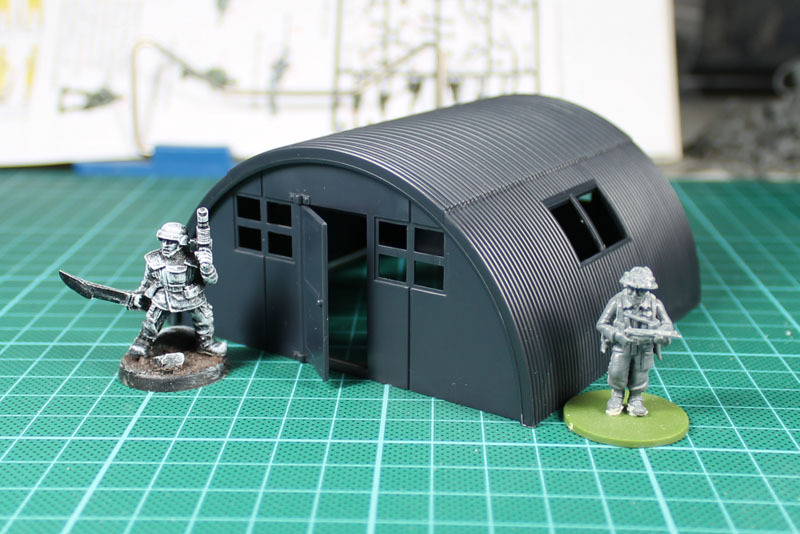 Here is the Airfield Accessoires Package, which covers 6 nice huts for just 18 Euro. Great price and works well for Bolt Action. 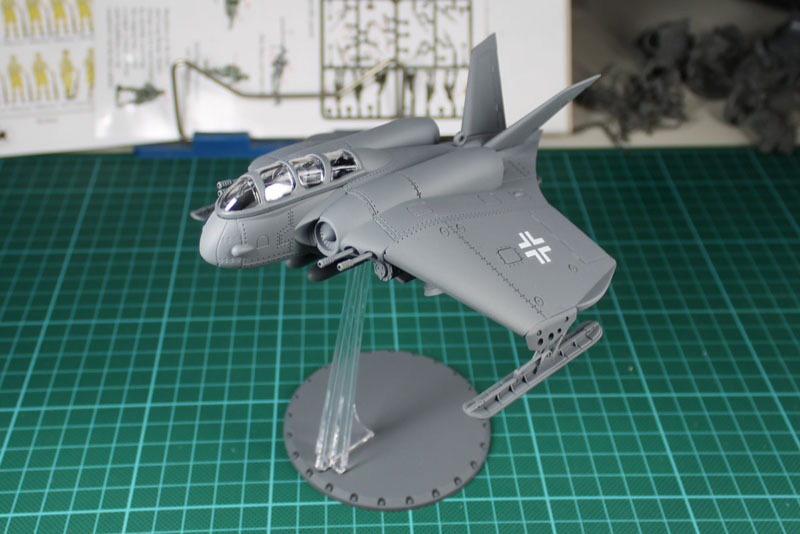 Most of you will know, i am not 100% historical with Bolt Action and serving the pulp / alternate history line, so i got myself the Axis Horton as a flyer prototype. Will be a nice mission objective. 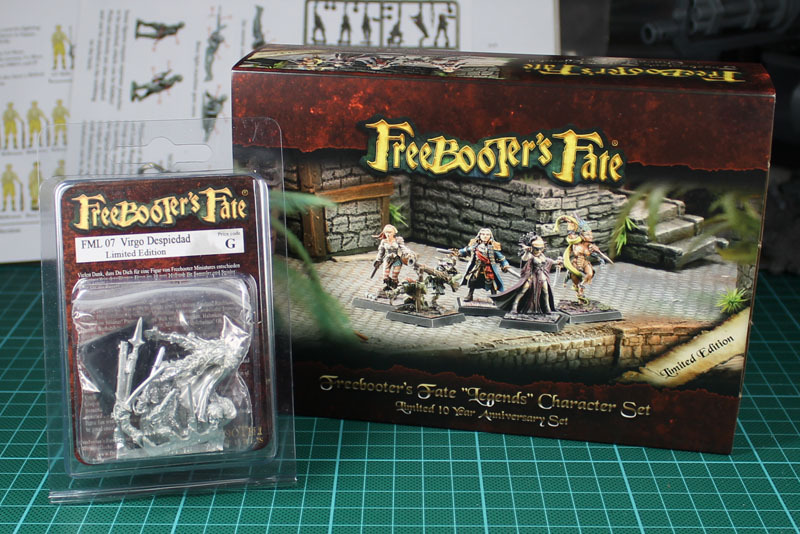 I participated in the Freeboter Indiegogo and got my hands on the legends box. As the miniatures cna be build in 2 variants, i got the regular box as well to build both of the variants. In addition i ordered Virgo, as he is a really awesome miniatures. And then there were some updates to ongoing projects. 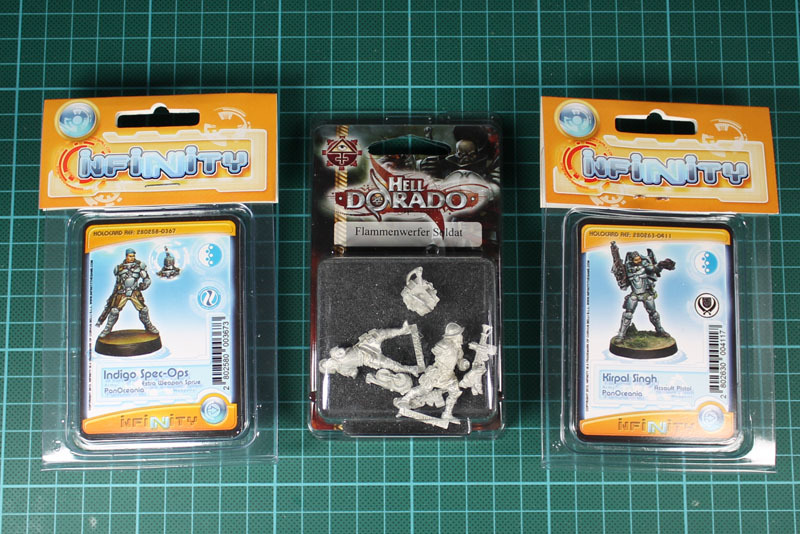 Two new Infinity chars for Pan Oceana and a new blister for Hell Dorado, the Flammenwerfer Soldaten. The Templar Squires are ordered and i am waiting for the delivery. 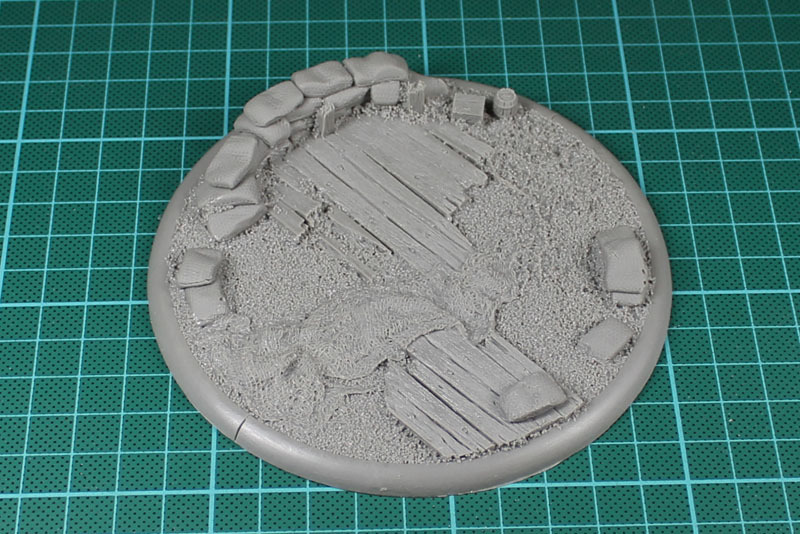 The large 120mm Trench Warfare Base from Tabletop Art is finally available and i got it for mY Khador Project. 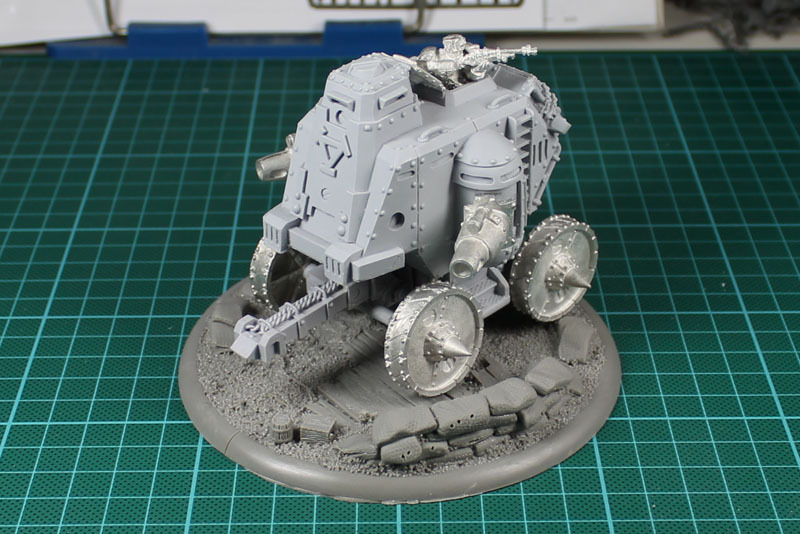 The casting quality is great, but the battle engine doesn't really fit that well upon the base, especially the horses will be a problem. Its a better fit with the conquest colossal. One thing that bothered me, was the size problem with the perry miniatures. 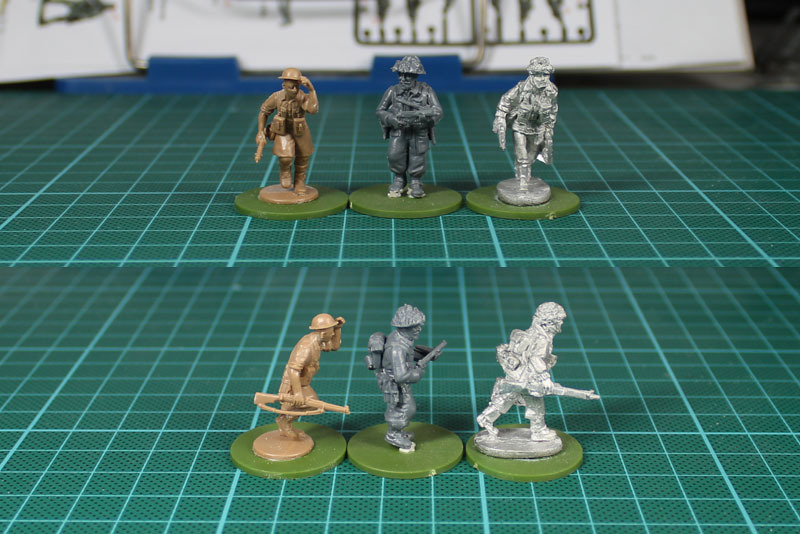 They are little smaller than other 28mm figurines. Strange and not really understanding why. But it isn't that big of a deal, as you don't get that close during gaming. A real bummer was the Desert Rats Token Set. 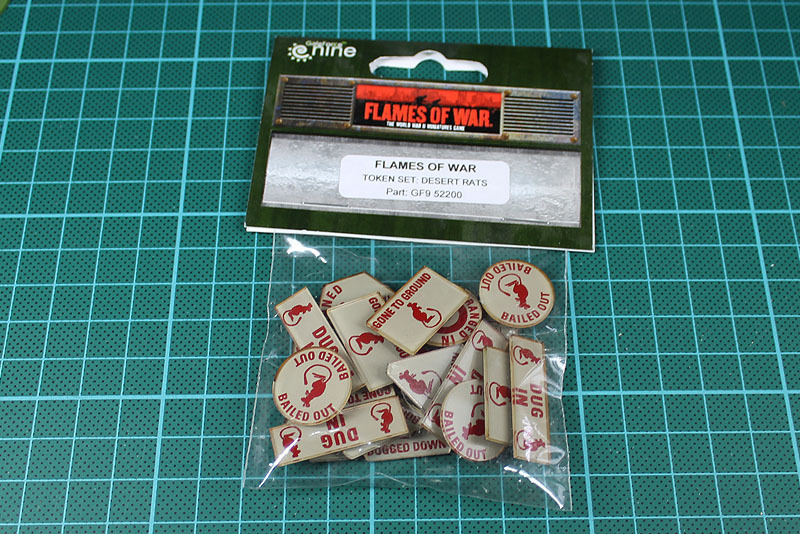 I ordered it, without a picture in the shop, but the other sets had dice with them, which was the primary motivation of buying the set, as i wanted them for my Bolt Action Army. And there was some more literature. 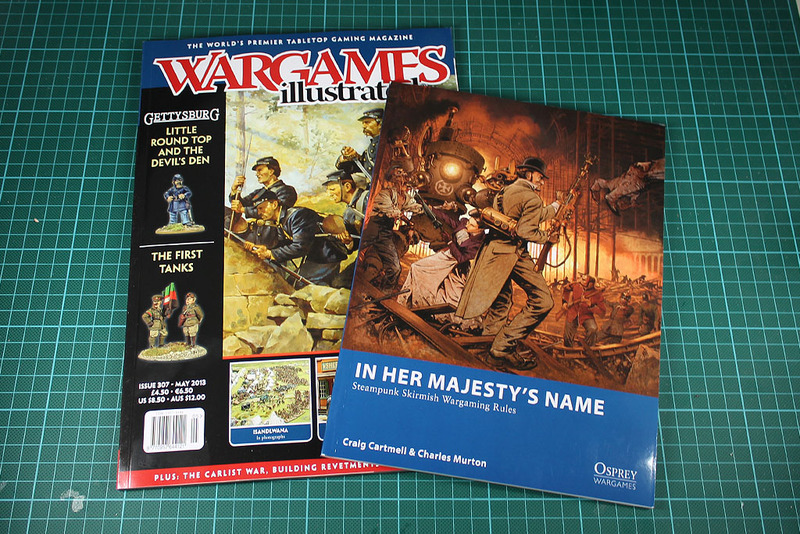 The latest issue of Wargames Illustrate. Solid quality, a little bit heavy on the western topic, but especially the converted poker table as a old west gaming table is a great idea! Another osprey ruleset found its way to me, In her Majesty's Name. Minimalistic rules aren't a problem, as they can be fun too. But such an interesting topic as victorian steampunk, is way to interesting as to barely scratch the top layer in this 63 book, which covers mostly rules. Even for the 13 euros it costs it bothers me notably. Well, I'm off, watching the champions league final and hoping for a win of Bayern Munich.